I'm starting this post just before game two of the Seattle invasion, so I have no idea how that series will turn out/turned out. I only know that Tina got a win in her first ever live baseball game, which is awesome. This post will either find us wishing for a Monday game, glad for a respite from this topsy-turvy season, or somewhere in the middle. Why 1981 you ask? Blame poster Teddy Ballgame for that. I took requests for various seasons before or during the Blue Jays' history, and his was the furthest removed from 2018, so I chose to tackle it first. When he requested it, I told him he was a masochist, as the Blue Jays were the worst team in all of baseball that season, and he responded by posting that indeed he was, but that he was also a bit of a sadist. There was a team just down Hwy 401 though, that had been teasing Canadian baseball fans, knocking on the door of the postseason, but falling just short, and 1981 was the year they would finally crash the party, so perhaps he's not such a masochist after all. 11-year old me recalls wishing this stupid, pasty faced, white dude (Donald Fehr, who I seem to recall handled the press, while Marvin Miller did the dirty work), with a perma-sneer/scowl, would get off my television screen, and get my favourite players back on the field. I didn't understand labour relations, or why this strike was such an important one for the players, I just wanted to see my Blue Jays play goddamn it. The Expos were a nice diversion from the horrors that were taking place at Exhibition Stadium (16-42 first half). 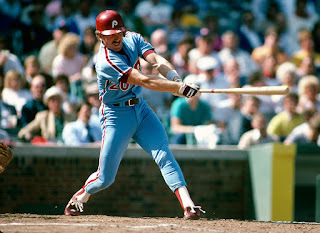 They were loaded with talent, and had taken the Pirates down to the wire in 1979, and the same with the Phillies in 1980, coming up painfully short of getting to the big dance in both seasons. Of course there would be more pain to come for them, but 1981 was a huge breakthrough for a team loaded with very good players and future Hall of Famers. The season ended up being around 110 games for each team because of the work stoppage. Not ideal, but it was better than no baseball, and it gave us a taste of what eight teams in the postseason would look like a decade and a half or so before it came to be. The eight teams were the teams that won their respective divisions in each half, which utterly screwed the Cincinnati Reds out of a postseason berth. The Reds had the best overall record (66-42) in baseball that year, but they finished a half game behind the Dodgers in the first half, and 1.5 games back of the Astros in the second half, so they went home. This series of posts will be similar to the all-stars and awards posts that I've been doing for current seasons. A slight change is that I'll trim the All-Star team rosters from 32 to 28 (18 position players, 6 starting pitchers, 4 relievers) as there were four fewer teams in MLB in 1981. Also, I'm not going to split it into one post each for the AL and the NL. I'll just try to cut down my commentary on each award. In addition, there will be none of this one player per team silliness. I will indicate who I would've picked had I abided by this rule, and who I would've had to bump off. Going through the numbers has already brought back memories of players from the past for me. I hope it'll do the same for you if you were around to see it, or send you to BB-ref, fangraphs and other sources to look up some of these guys if you weren't, and want to know more about them. These are a couple of very good teams. Sure, some of the guys make you go huh?, but usually they are at positions that are short on quality and/or depth. Some of these players should be HoFers, or maybe get a second look. Dave Stieb, Bobby Grich, Buddy Bell, Dwight Evans, Lou Whitaker, Chet Lemon, and Darrell Evans fit that bill for me. It's funny to me how when we watch a baseball game, our standards are different as to what makes a player great. We want the players we root for to not make outs (high OBP), hit for power (high SLG), play above average to excellent defense (part of the WAR calculation), and run the bases at an above average to excellent level (also part of the WAR calculation) among other things. Running the bases well does not necessarily involve having speed. It involves being smart and not being TOOTBLANed, as well as taking the extra base when it's there for the taking. There are a lot of players who were very good in all of these areas, who get passed over for the HoF in favour of players who specialized in one specific area (BA, HR, RBI, R, SB etc). Kind of like real life where specialization can be where the money is. We tend to gravitate towards high totals in the "baseball card" stats and milestone stats, and because of this we miss out on deserving guys. As for Stieb, don't even get me started on pitcher wins, as this category has been demonstrated repeatedly to be almost completely beyond a pitcher's control. Rollie Fingers was flat out ridiculous in 1981. He was extremely good at preventing runs (1.04 RA, which was the same as his 1.04 ERA), and he did so across 78.0 IP, which would've put him on a pace to pitch about 116.0 innings over 162 games, a lot more than you see from today's relievers. He had a 2.07 FIP, kept the ball in the yard (0.3 HR/9), was very stingy with free passes (1.5 BB/9), and had a very high strikeout rate (7.0 K/9) relative to other pitcher's strikeout rates that year (MLB average: 4.7 K/9). He led AL relievers in fWAR (2.6), bWAR (4.2), WPA (3.59), and REW (2.79). In the end, this race was not even close for me. 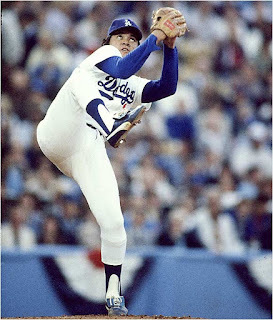 Fingers was the best reliever in MLB in 1981. Rick Camp was in a tight race in the NL. Camp's M.O. was to limit the number of free passes (1.4 BB/9 vs 3.2 BB/9 MLB average), with a K/9 rate that looks rather pathetic by today's standards (5.6 K/9), but you have factor in how low the league K/9 rate was that year in order to see that this was in fact an above average rate. His HR/9 rate of 0.6 was bang on the MLB average. He also had a better than average FIP (2.73 to 3.58), and he had a strong showing in both versions of WAR (1.4 fWAR, 2.8 bWAR). In the end, it's Rick Camp in the NL for me, but not by much. It's a different world in baseball now, which makes it tough to look back at past years with our 2018 shades on, but by using the league averages for these measurements, we can see things a bit more clearly. Remember too that back in those days, relievers were expected to (and did) pitch multiple innings, so they had to pace themselves rather than airing it out and departing after one inning. This is a very important consideration that is sometimes forgotten when looking at numbers from back then, perhaps due to recency bias. We're so used to seeing max effort relievers with huge radar gun readings, that we can forget how the game was played even 25 years ago, let alone 37. The 1981 American League Rookie of the Year should've been a unanimous choice in real life, but it wasn't. As far as I'm concerned, Dave Righetti absolutely destroyed the field. Righetti led the AL (not just the rookies, the entire league) in ERA+ (174), FIP (2.12), H/9 (6.4), K/9 (7.6), and MLB in HR/9 with a miniscule 0.09. He also had a tidy 2.05 ERA, and a 2.14 RA. "Death Valley" in LF in Yankee Stadium probably had something to do with the HR rate, but I think he would've done very well in any ballpark that year. I'm sure he led in other categories, but let's not embarrass the five writers who saw Rich Gedman of the Boston Red Sox as 1981's AL ROY. This is an absolute slam dunk, lockdown case for unanimous selection. Oh well, at least they chose the right guy. You had to be there to understand Fernandomania, which swept across baseball in 1981. Everybody was caught up in it. This diminutive, tubby (he wasn't hindered much by his stature, as he would hit .250/.262/.281/.543 to capture the 1981 NL Silver Slugger Award at pitcher) rookie got the opening day start in place of an injured Jerry Reuss, and all he did was throw nine innings in each of his first eight starts (he was removed from one game after the 9th, when the Dodgers erupted for five runs on the road against the Expos to give him a 6-1 win in 10 innings) with 7 CG, 5 SHO, an 8-0 record, and oh yeah, 4 total runs allowed. Oh. My. God. He finally gave up his first two career longballs in his eighth start (plus ten 1980 relief appearances) against Montreal in a 3-2 victory. There seemed to be nothing he couldn't do. 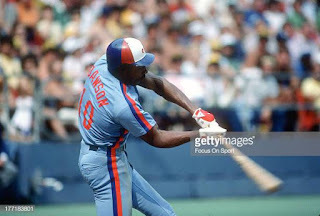 Tim Raines put up a fabulous rookie season of his own, but in the end I had to go with Fernando, and while it was closer than the AL race for me, I don't have much doubt about my selection. Billy Martin leaned extremely heavily (the A's basically doubled their closest competitor in CG in MLB in both seasons) on his starting pitchers in 1980 and 1981. Short term, it appeared to be a brilliant strategy as Mike Norris, Steve McCatty, Matt Keough, Rick Langford, and Brian Kingman thrived under the philosophy. Long term, it was a disaster, as by 1982 all of them had begun to break down either through injuries, and/or ineffectiveness. McCatty's 1981 peripheral numbers (HR/9, BB/9, K/9 all right around league average) were admittedly pretty ho-hum, and he pitched in a pitcher's park, with a phenomenal defense behind him, but his context dependent numbers (WPA, REW) indicate to me that he was doing something right when it mattered, and he was doing it as well or better than anybody else in the AL. I may be taking the wrong approach here, and I may be allowing that to cloud my judgment. His run prevention numbers (2.42 RA9 [Runs Allowed per 9 innings]) when compared against what the average pitcher would've done (3.59 RA9) given similar circumstances (defense, parks, pitching role) were terrific. He also tossed 185.2 innings (a 276.0 innings pace in a normal season) which is a huge volume. In the end it's McCatty for me, but it's extremely close. 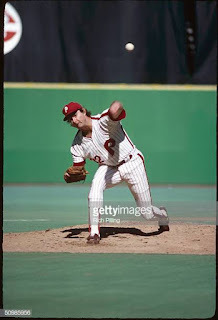 Steve Carlton pitched phenomenally well in 1981. He had a mind boggling K/9 rate of 8.5 (MLB average: 4.7) and when you combine that with facing the most batters in the NL, it becomes all the more impressive, as it's hard to maintain a high K rate with the possible onset of fatigue. He was at or close to the top in the context dependent stats, and led the league in fWAR (5.3), and bWAR (5.6). Fernandomania may have been more striking in 1981, but I have Carlton winning this award, albeit in somewhat of a close race. Let's clear up one thing about these rankings. I have Carlton ahead of Valenzuela for the NL Cy Young, and Valenzuela ahead of Carlton for the NL MVP. That's because when I rank pitchers for the Cy Young, I'm looking strictly at pitching. When I rank pitchers for the MVP, I look at the totality of their game (pitching, hitting, defense, baserunning) because I want a clear picture of all the facets of value that a player contributed to his team. Is he the most underrated player ever in baseball? 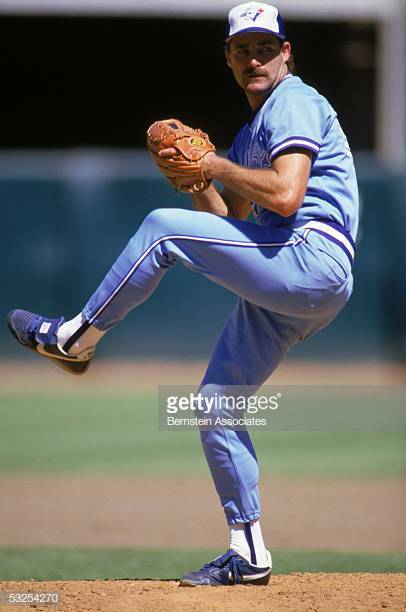 He's certainly one of them, and in 1981 Dwight Evans of the Red Sox showed off all of his skills. He was a four tool player, as speed was not his forte, but he made up for that with baserunning smarts, and was at least an average baserunner over the course of his career. In 1981, he dominated the American League, but did not win the MVP. Too much of a jack of all trades I guess. The AL's most valuable player to his team wasn't really close for me. He tied for the AL lead in HR (22), led the AL in OPS (.937), total bases (215), and all of MLB in BB (85), and a boatload of sabermetric categories that are too numerous to mention here. Yes, he played in a hitter's haven, but I'll take a 163 OPS+, and a 168 wRC+ in any ballpark, every day of the week and twice on Sundays. What can you say about Mike Schmidt that hasn't already been said? The best third baseman in MLB history paced MLB in HR (31), RBI (91), OBP (.435), SLG (.644), OPS (1.080), OPS+ (198), Total Bases (228), IBB (18), and the National League in R (78), and BB (73, he struck out just 71 times), and posted a sick 198 wRC+ in 1981. As indicated by his IBB total, pitchers just didn't want to face this guy. Andre Dawson had a hell of a season, but he finished well behind Schmidt. 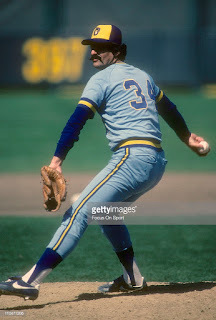 Any other year in any other league, he might've had a chance, but not in the National League in 1981. Case closed. Nothing to see here. Oakland had the best OF in baseball at the time, but it wouldn't be long before a trio of then 21 year old Blue Jays would take up that mantle. Soon Blue Jays' fans would be reaping the rewards of the genius of one Lawrence Patrick David Gillick, and his strong front office and scouting staff. Hope you enjoyed what was a stroll down memory lane for some of you, and an introduction to a very interesting season for the rest of you. It may have been truncated, and darkened by labour strife, but it was still a great season. This has been fun for me. Let me know if you have any favourite seasons that you want me to analyze, and I'll get to them when I can. Up next: 1985.